Thursday, August 23, 2007 in the District One Hospital, Faribault. Meadow Ridge Memorial Park, Faribault. Faribault Regional Center, Inisfail Home and Rice County Recycling Center. He was preceded in death by his parents; and one brother, Donald. Mikey was the most giving person i know. He would give or do anything for anybody, there was no one else like him.I love you mikey. It is so terrible to die at such a young age. I married into this family 6 years ago. Unfortunately, I can count on one hand the times we have been gotten together, and the last time was for Don's funeral, at least from my end. My prayers go out to you, my extended family. I worked with Mike in Pine building at FRC. He always made work fun as he was always happy. I know he did the same at Hy-vee,he truly lived up to the Hy-vee motto,"A helpful smile in every aisle".He touched alot of lives and made them better. I am so sorry to hear for your lost. Mike will be missed at Hy-vee. I will always his personality and also think of his Black Magic Marker and a plyers. Miss you. sorry for the family to hear about mike? I was very sad to hear about that if the family is up to it could they tell me what happened? I saw him a week ago and he was happy and very help ful thank you. Mike was always a wonderful friend. He always had a smile, a joke,something to make a person laugh, even at the wosrst of times. I enjoyed working with him. He and I became good friends. 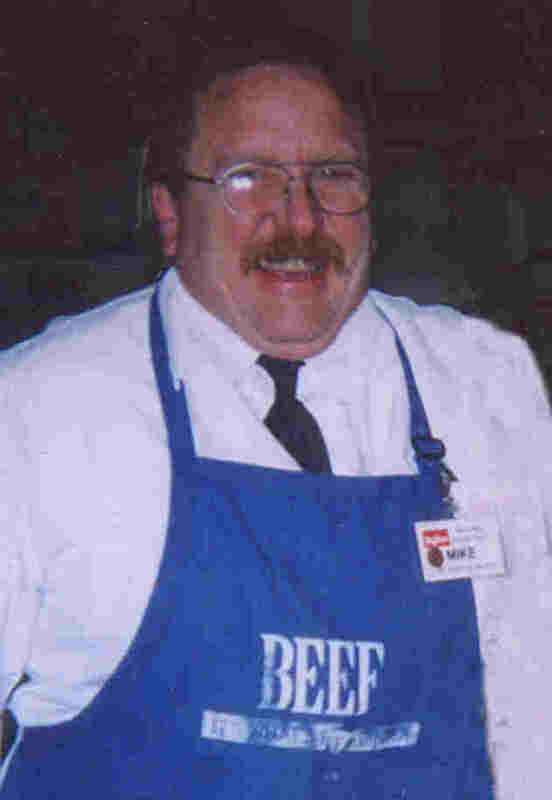 Hy-vee will not ever be the same with out him. We shared a lot about our children and the problems of raising teen-agers. I wish I would have gotten to know Mikey better. He was a very sweet man. He will be greatly missed by me and every one that knew him. My prayers go out to the family and friends.